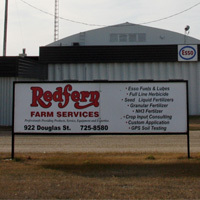 Ray Redfern, founder and president, started Redfern Farm Services in 1972 in Rivers, Man., and now operates 11 locations in southwestern Manitoba. 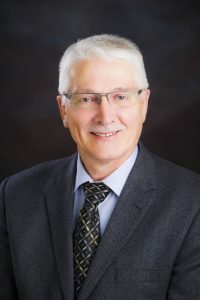 Growing up on a family farm near Kenton, Redfern eventually went on to attend the University of Manitoba, completing his Bachelor of Science in Agriculture, with majors in soil science and economics. He’s a certified professional agrologist and has held designation with the Canadian Consulting Agrologist Association. Ray is also active in the operations of Redfern Family Farms, providing seed and commercial production of small grains, oilseeds and pulse crops including soybeans, and forages. He’s also the president and partner of Redsper Enterprises Ltd., located in Rivers, Man., which is a certified seed retailer, providing extensive seed processing as well as specialized seed treatment programs, and grain storage. He received the Lifetime Business Builder Award from the Brandon Chamber of Commerce back in 2017. Monica Madden has been associated with the company for the past 25 years, beginning her tenure in Rivers. In 1998, Madden followed the head office move to the Wheat City. In 2002, she received her accounting designation, and in 2004, she took over the role of controller with Redfern Farm Services. As a CPA, she looks after the company financial reporting and analysis. Candice Redfern-Broome moved into the role of credit manager for Redfern Farm Services in November of 1997. Candice has also been serving as the Redfern business manager for many years. Brian Hatch, formerly the Brandon branch manager, eventually transitioned to the role of Business Admin Manager back in the early 2000s and remains in the role today. The ‘jack of all trades’ role includes account administration for large supplier accounts, management, IT support, as well as development. Regan Cline has worked in the accounting field for seven years. She brings a wide variety of accounting and payroll knowledge to Redfern Farm Services. She also spent time as an office manager in years past. Bobbi joined Redfern Farm Services in January of 2019 and brings with her 17 years of experience in human resources. She has worked in many of the HR streams and brings a diverse background to the role. Laura Sjolin joined the team in early 2019. Laura is a farm girl from Saskatchewan with a work history in various administration, customer service and sales roles. She helps out with some of the daily roles related to the credit department. Autum Logan has been with Redfern Farm Services since 2012, working with the manufacturer and distribution partners to organize and execute supplier programs. She also assists in developing Redfern offerings for seed and crop protection products and is responsible for ordering the appropriate supply of these products to meet customer needs. Ken Cross joined Redfern Farm Services in 2009. He’s been involved in the agriculture sector since 1986. He works closely with all 11 Redfern branches and is involved with purchasing all fertilizer for the company. Trevor Dickie has been with Redfern Farm Services since 2014, working closely with all branches. His responsibilities include taking care of the direct delivery of all liquid/dry products to customers and branches. Dan started working at Redfern Farm Services in 2003. He’s been paying the bills and balancing the cash ever since. Suzanne Cartier is our Inventory Officer ; she joined us at Redferns in February of 2019. Suzanne brings with her a diverse background in business and over 10 years in the Office Management field. Dustin Redfern received his agribusiness diploma and began full-time employment at Redfern Farm Services back in 1999. He started in Rivers and eventually made his way to the Wheat City at the head office. Ray and Dustin have a farm just outside Rivers. Ken Cram started with Redfern Farm Services in 1991 as a branch manager of the Minnedosa branch. In 1999, he moved to the Wheat City to take over as petroleum manager. He eventually took over the position of Brandon branch manager and is now back as fuel coordinator, looking after the company NH3 equipment and trucks, ensuring it meets regulations as well as branch operational roles.